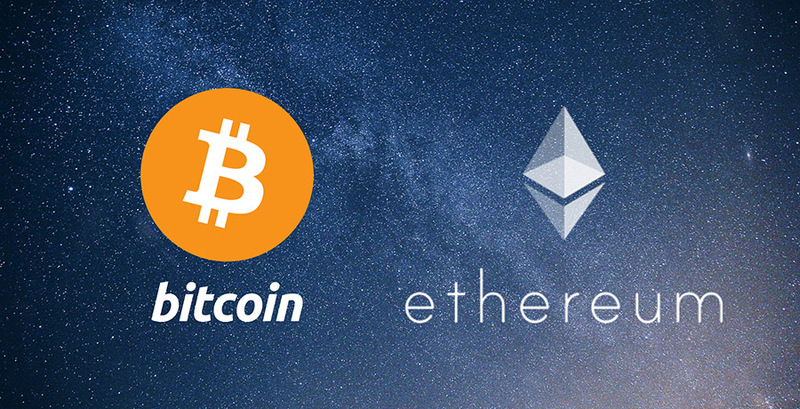 Bitcoin and Ethereum are the top 2 cryptocurrencies (aka cryptos) in terms of market capitalization. I am interested to see if I can discover any patterns for these 2 cryptos using time series analysis. I was first exposed to cryptos in 2016, at that time, the price of 1 bitcoin is about $500 - $600. Images from the movies: Back to the Future & The Wolf of Wall Street. First, let's look at BTC from 2013-05-01 to 2017-12-31. In this article, I will be using closing price (USD). 2014 is a bad year for BTC. In general, quarter 2 will yield better return than 1 and 3. The correlation decreases when the lag increases, as expected. From ACF plot, it's clear that it's not a white noise process. This is a close call as based on ACF plot, there are a few lags that seem significant. Based on the ACF & PACF plot, I managed to determined the ARIMA model order. It's not surprising that the forecast values for 292 steps ahead are off. First, let's look at ETH from 2015-08-08 to 2017-12-31. ETH increases steadily over the years. ETH has more days where the prices jump by at least 15%. In order to compare the rate of growth for BTC & ETH, I took the data starting from 2015–08–08 to 2017–12–31 and normalized them. The result from the one-step forecast model is better than what I expected. I think the cryptos will have a decent future if they provide anonymity for the users. But based on the current call for regulation, I believe that the current cryptos are the "Friendster", a stepping stone before we have a truly decentralized, anonymous cryptocurrency.